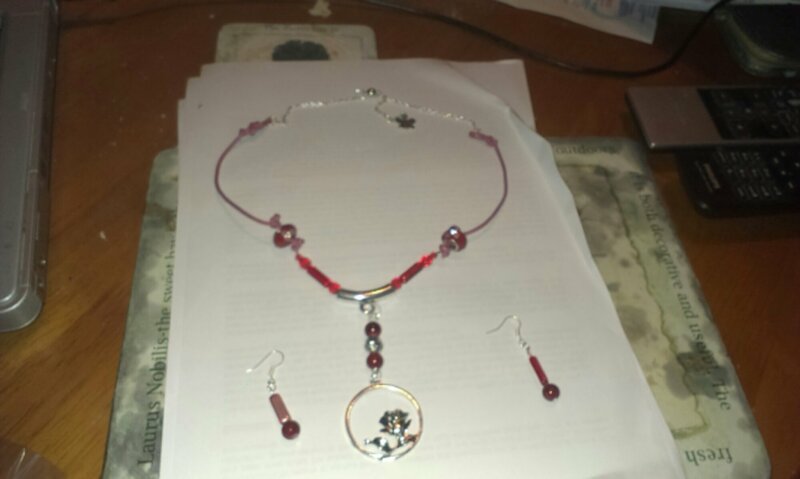 Not been able to do much jewellery or crafts over last 6 months as been focusing on sorting new flat out. Almost there. But no real area to work from at present. Aside from needing more practice with knots I quite like them. Richard’s mum liked them so that is what matters! I also found a lovely kingfisher pendant on ebay for her (no photo sorry). 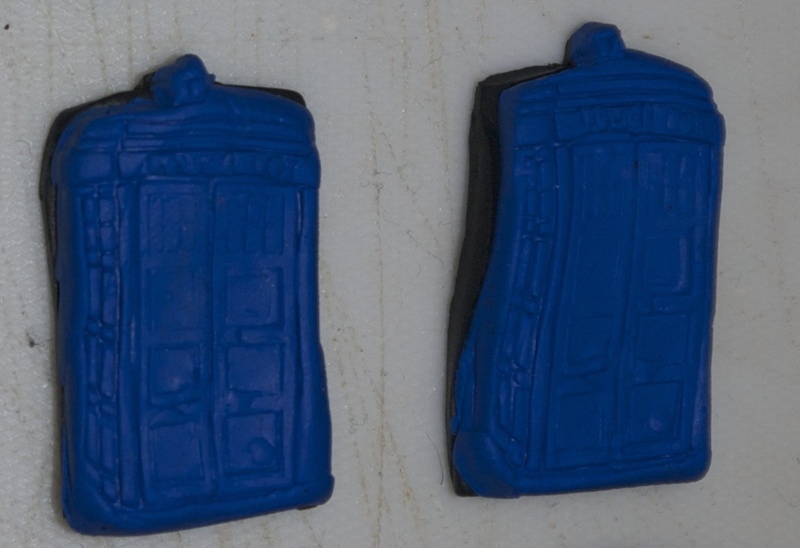 The only other items of jewellery I tried was polymer clay and push moulds, they didn’t turn out how o intended sadly. 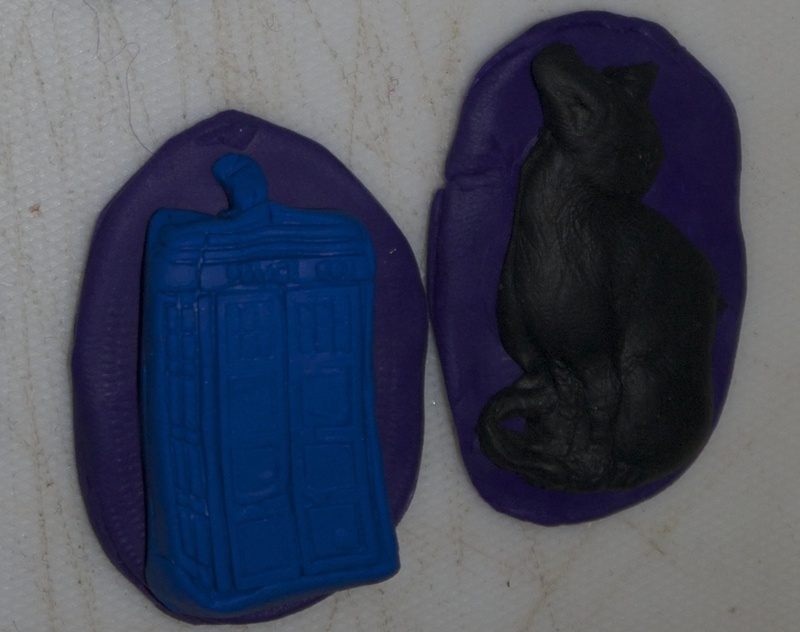 Getting one colour in the mould then another colour on top (for instance a cat in black, with a surround in purple) just failed every time! 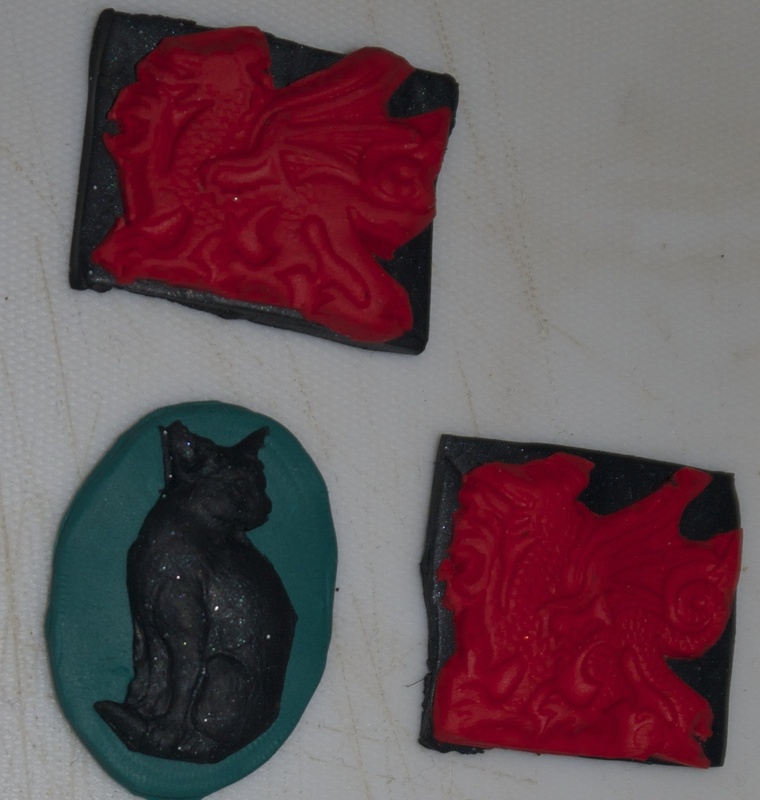 The cat either didn’t stay in place or got double imprinted or spread outside of where I wanted it when putting the second colour on top. Kinda given up on it, and will just mould in one colour and paint with either nail polishes or better acrylics/alcohol inks etc. The darth vader I tried worked well. But when baked found a mistake in putting it on a sheet of silver foil. It meant the back domed as a result. Could still sand it and epoxy a cufflink blank to it however, so not all a loss. 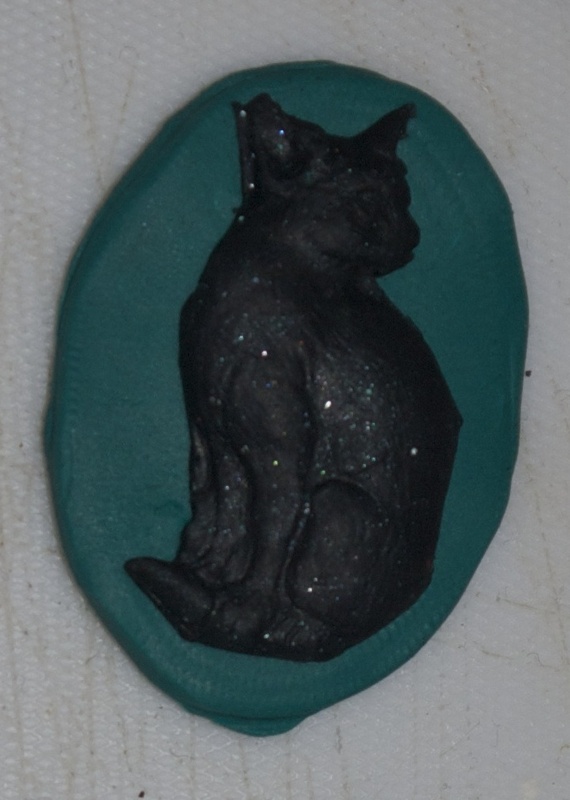 Same was true for the cat mould, done in a single glittery green clay. I’ve since bought a few books in polymer clay and better tools and more colours however.